Grounds maintenance in North West Leicestershire is carried out by a dedicated, qualified and experienced team whose central hub is in Coalville. The team works across the district grass cutting, shrub and tree maintenance, hedgecutting, sports pitches, play areas, cemeteries, memorial testing, housing sites, allotments, landscaping, tree works, planting of trees, shrubs, herbaceous, bulbs and floral displays. 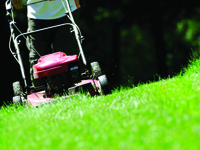 The team cuts grass areas owned by the District Council in parks and open spaces, sheltered housing sites, cemeteries, closed churchyards and nature sites. Any grass that is along the highway is maintained by Leicestershire County Council. The grounds maintenance team maintains the local cemeteries in Coalville, Whitwick and Hugglescote. The work includes maintenance of the grounds, burials and memorial testing. We maintain more than 30 play areas and skateparks throughout the district. Many sites are managed on behalf of local parish councils. The play equipment is checked on a regular basis by RPII registered inspectors to make sure it is kept in good working order. 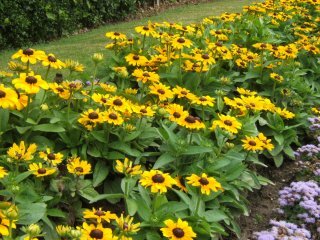 We provide floral displays throughout the parks, cemeteries and coalville town centre including hanging baskets, flower towers and flower beds. This also inlcudes the carpet bed designs located to the front of the main Council Offices. The beds are cleared, prepared and planted twice in the year to provide welcome colour throughout the year.